The Association of Southeast Asian Nations (ASEAN) Foundation and German-based multinational software corporation SAP are on the hunt for young innovators who can deliver data-driven solutions for the issues faced by the ASEAN community. Through the 3rd Annual ASEAN Data Science Explorers, the ASEAN Foundation and SAP aim to galvanize youth activism among tertiary students in the region by increasing their information and communication technology competencies. The initiative integrates two key activities, which are a series of enablement sessions and a data analytics competition, to achieve its objective. The competition will be carried out from February to October 2019, kickstarting with informative enablement sessions organized for students and lecturers in local institutions of higher learning across all 10 ASEAN member states to improve their data analytics’ skills and knowledge. The enablement sessions will then be followed with a national and regional data analytics competition where successful youth applicants will converge to present data-driven proposals which highlight issues in ASEAN across six United Nation Sustainable Development Goals, namely (3) good health and well-being, (4) quality education, (5) gender equality, (8) decent work and economic growth, (9) industry, innovation and infrastructure and (11) sustainable cities and communities utilizing SAP’s Analytics Cloud software. 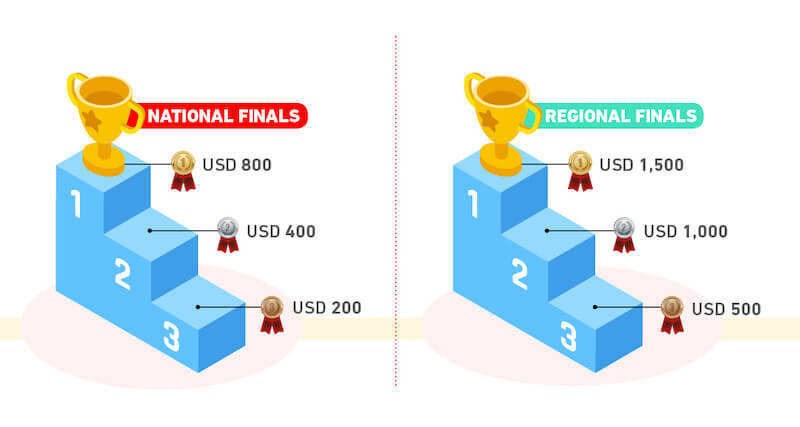 One participating team from each member state will stand a chance to be crowned as the national finalist before advancing to compete in the regional finals. At the highest honor of the regional finals, the 10 national finalists will be given the opportunity to present their winning ideas to a panel of judges. Students are required to form teams of two to register for the competition and submit their proposals through www.aseandse.org or aseandse@sap.com.